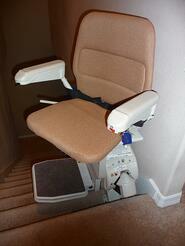 Getting your stairlift to be customized for that perfect fit to your staircase is complex process. Fortunately its a process you dont have to be concerned about if you choose your stairlift distributor carefully. Once you have selected the brand and model of chair lift to suit your needs and decor ask your stairlift distributor what method of staircase survey he or she can offer. Digital camera survey - sounds fancy huh but what is it? A sophisticated measuring method that creates a virtual 3D model of your staircase that a track can be matched exactly to. Manual survey using tape measure, plumb lines, angle finders and pencil and graph paper - Traditional but is it accurate enough? Not really, no! 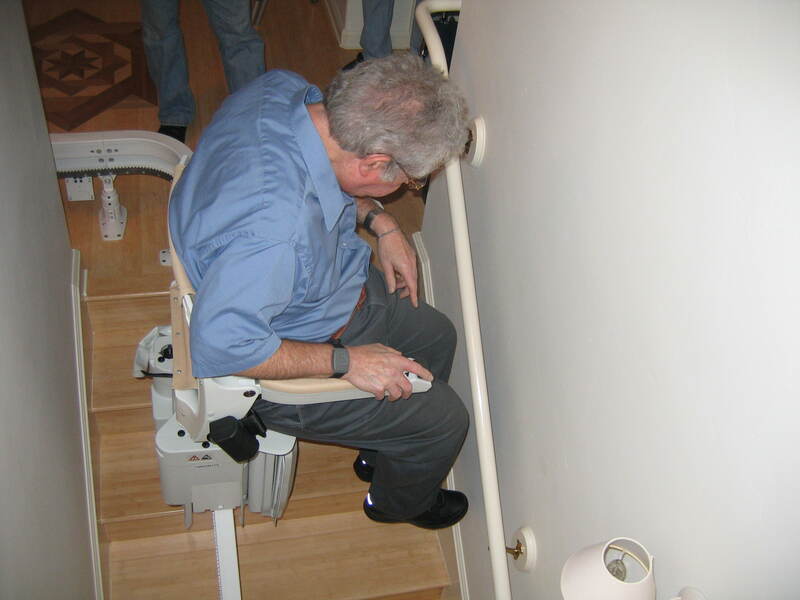 Stairlift manufacturers build in larger space between the walls and the rail to make sure it can be installed. We don't do curving lifts you only need two straight lifts - Hear this answer and you should run or put the phone down. Ours is a modular system we don't need a survey - The worst of the choices these guys are just going to turn up with a bunch of parts and wing it with your well earned money. The results are normally poor at best. Below is a modular curving stairlift track / rail. Take notice of how the track uses up so much of the staircase. This was a real installation by an authorized and factory trained installer. It was an unacceptable installation limited in design by the small number modular pieces available. The chairlift pictured below was removed shortly after this photograph was taken and replaced with a quality true custom curving stairlift.